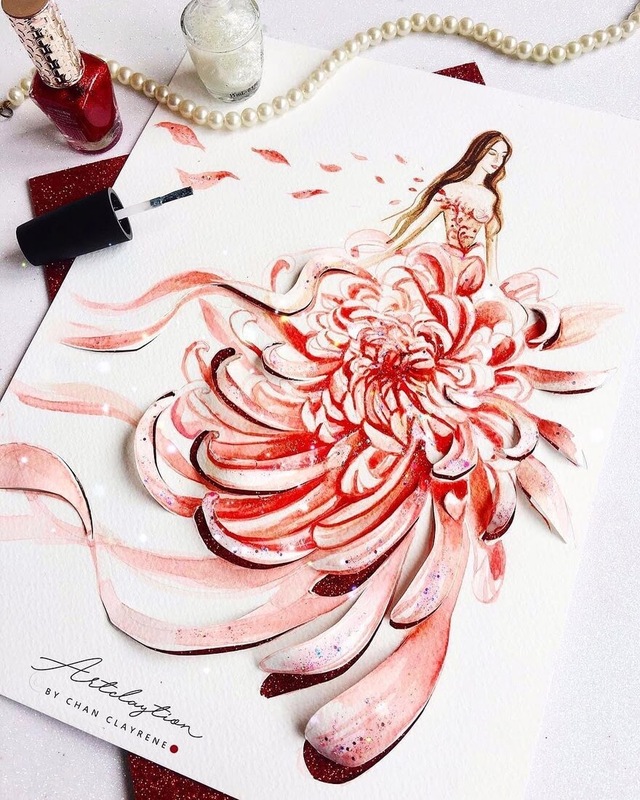 Pieces of art, that are accomplished with the use of watercolors and nail polish. 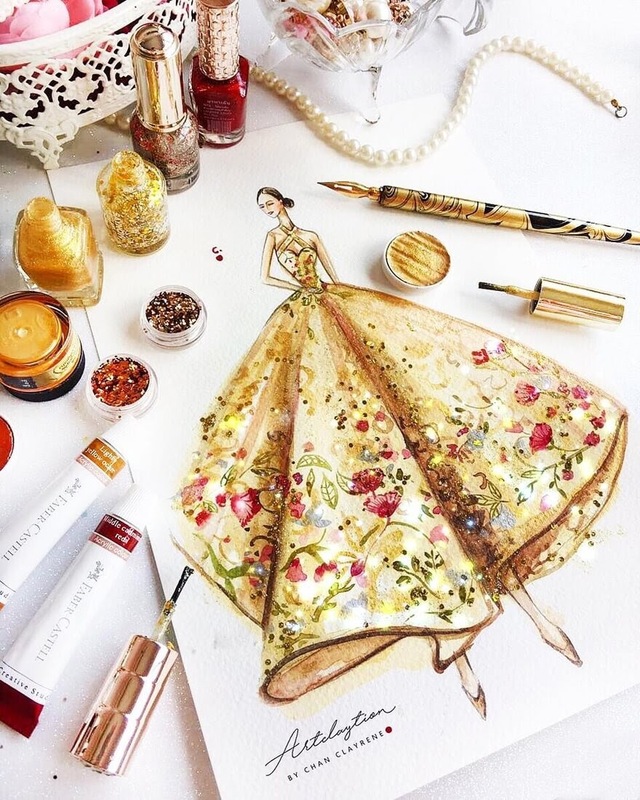 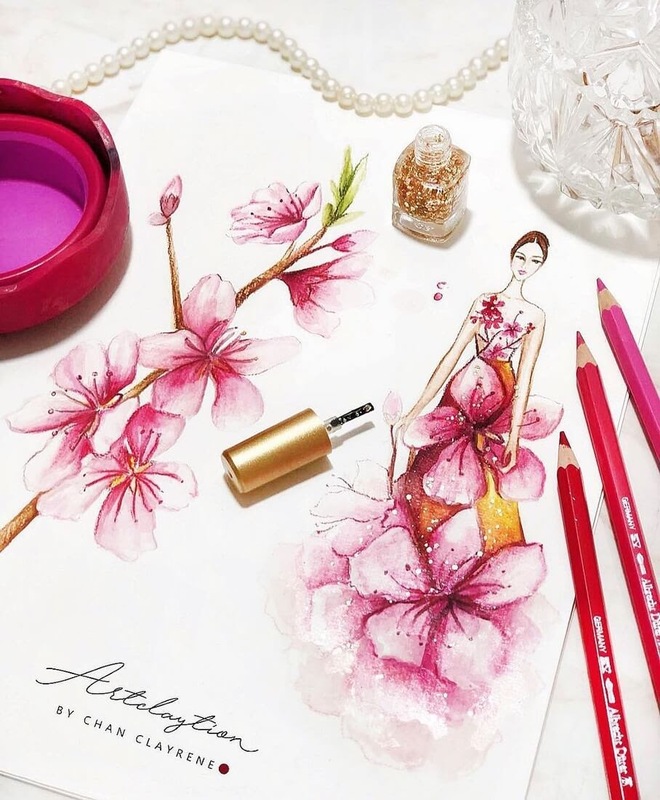 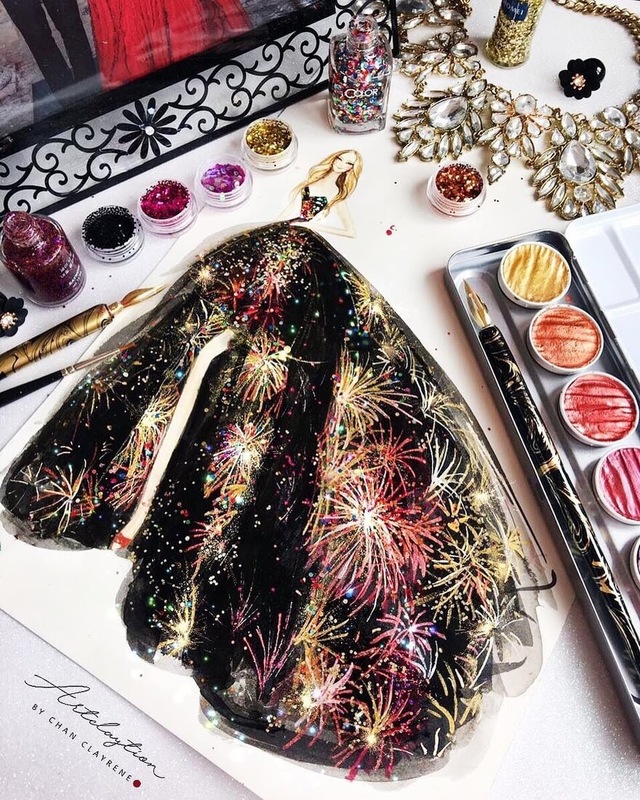 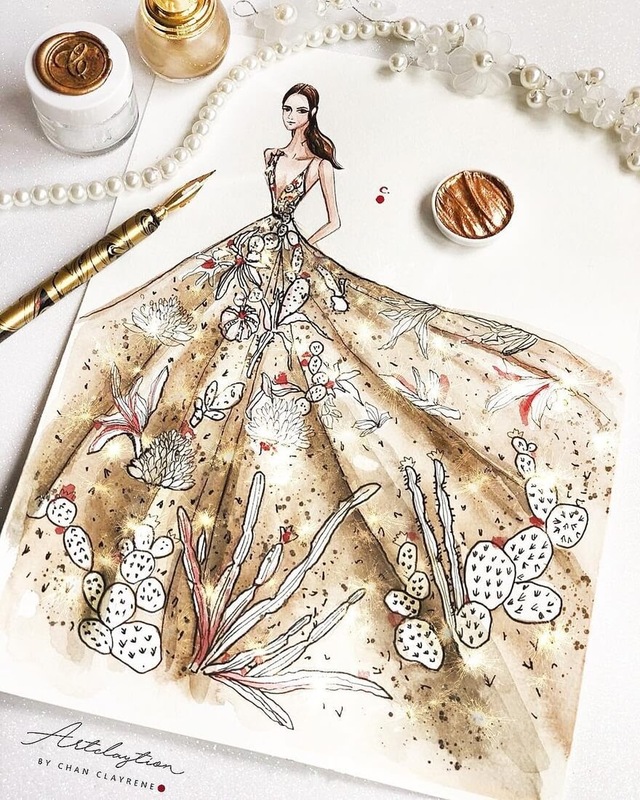 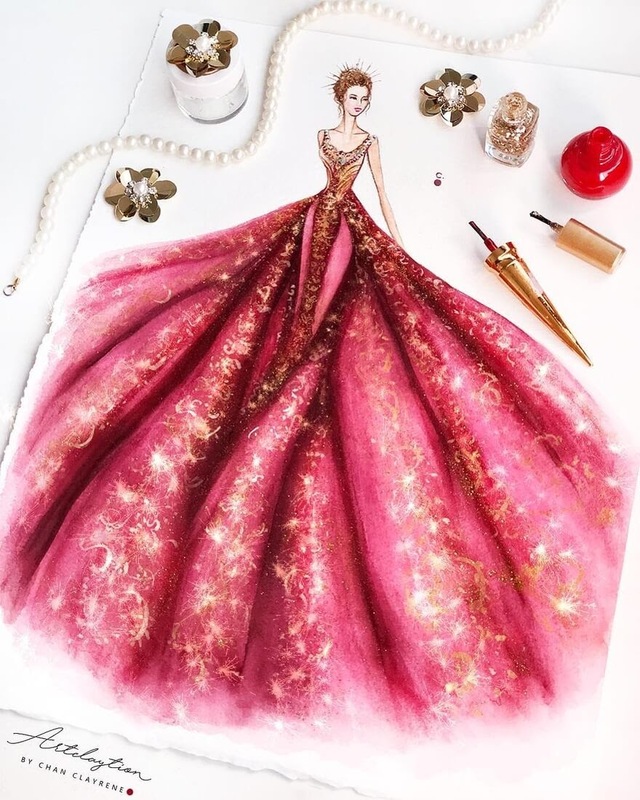 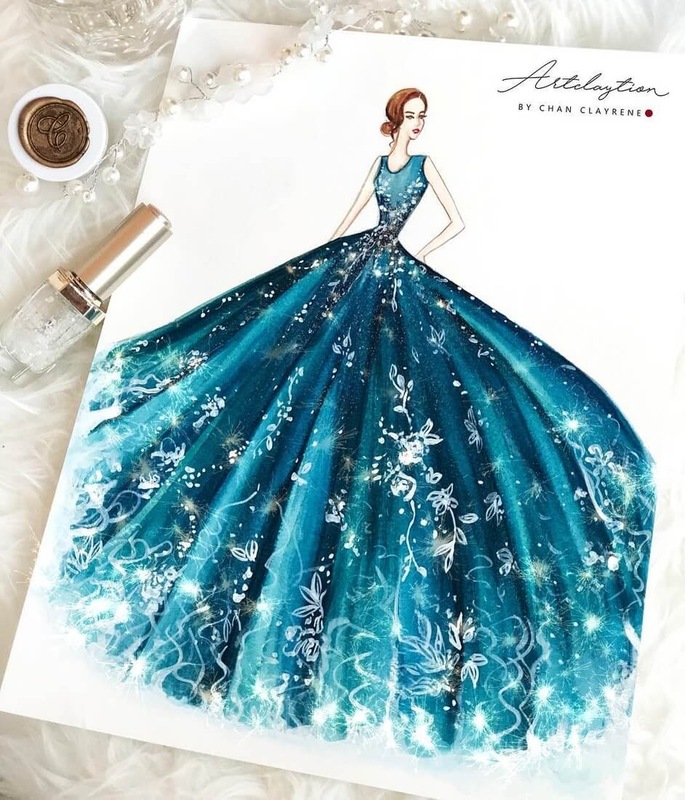 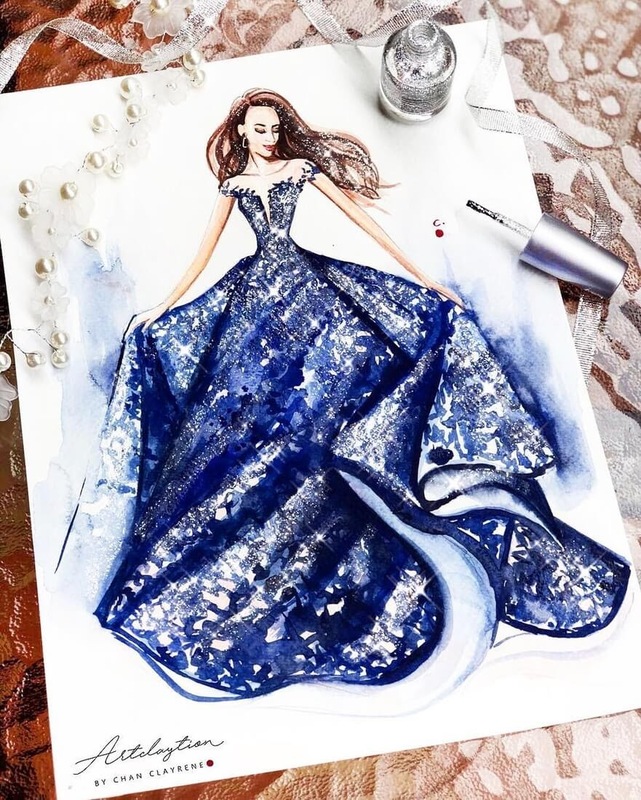 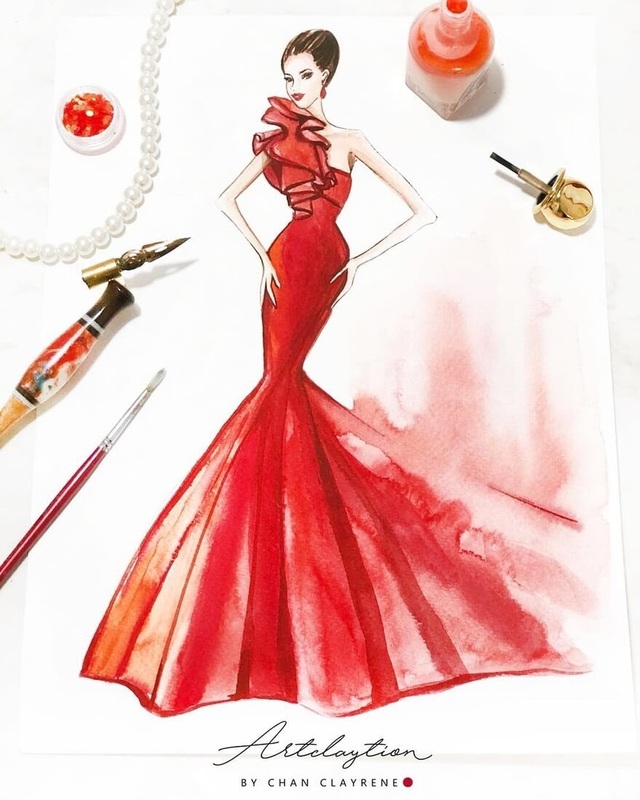 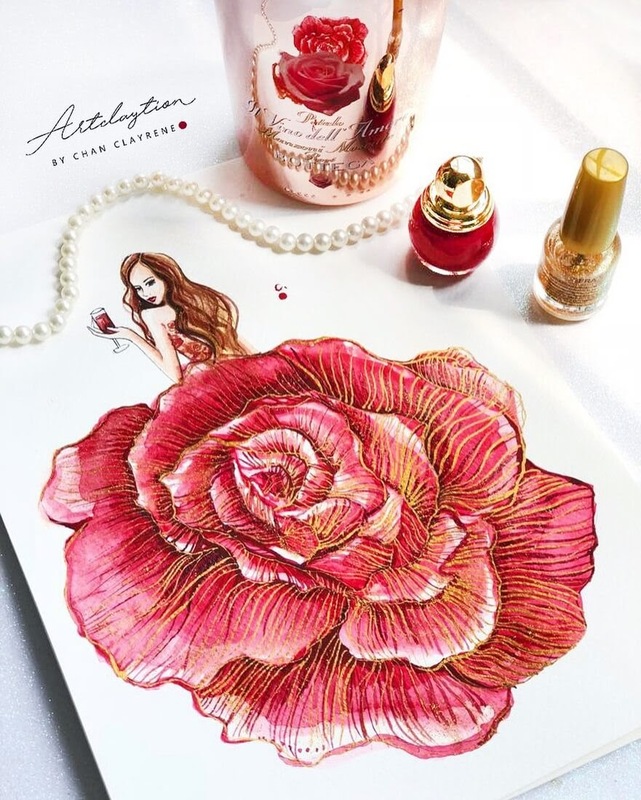 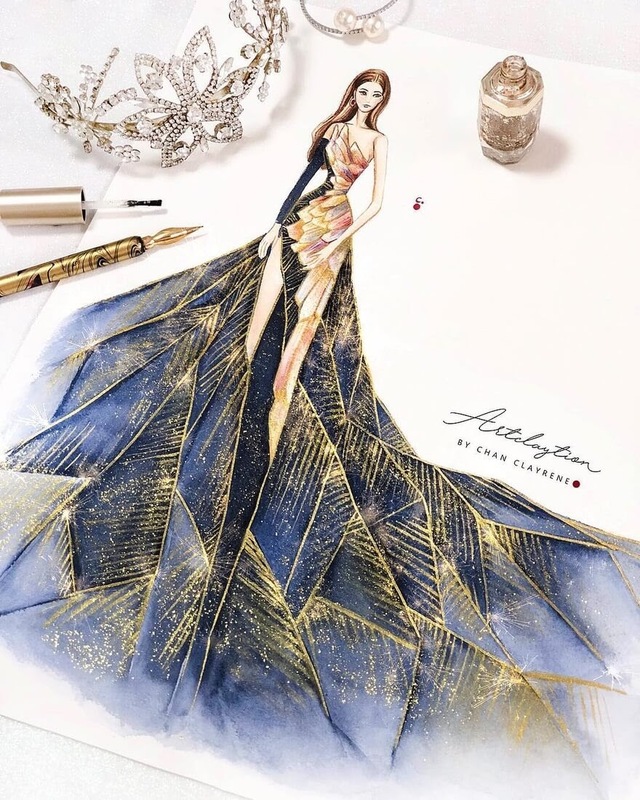 Fashion Artist and Illustrator, based in Singapore and Malaysia, Clayrene Chan, has this to say about her work: "Haute Couture is not only for the runway, you can own it through your nail polish and brushes". 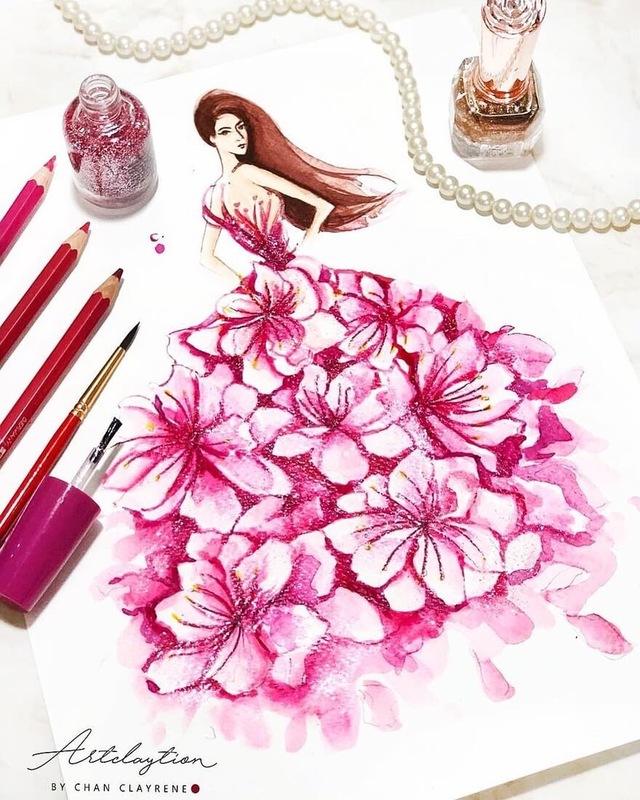 The watercolors provide the base color for painting her voluminous dresses, whilst the nail polish provides the finishing touches, the vivid colors and sparkle. 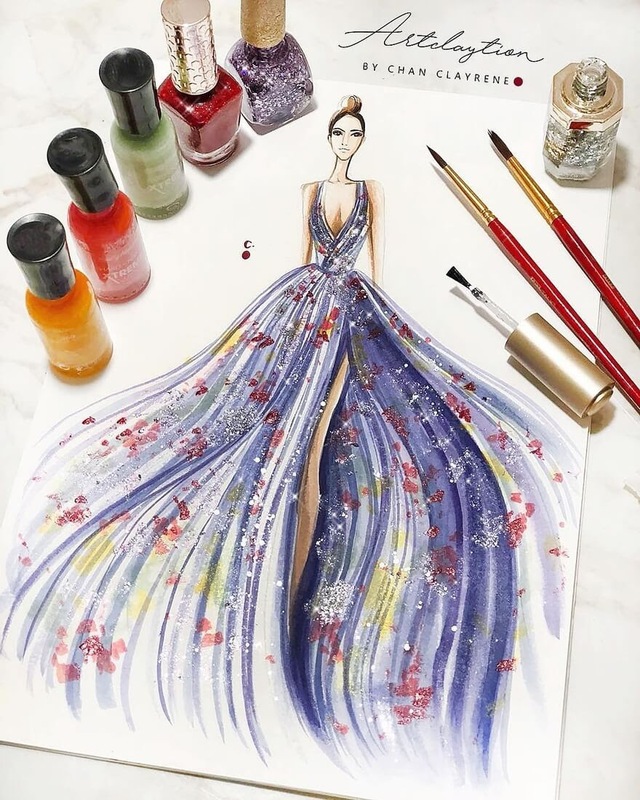 She has now opened a studio, where she passes on the secrets, tips and the short cuts she has learnt through her working carer. 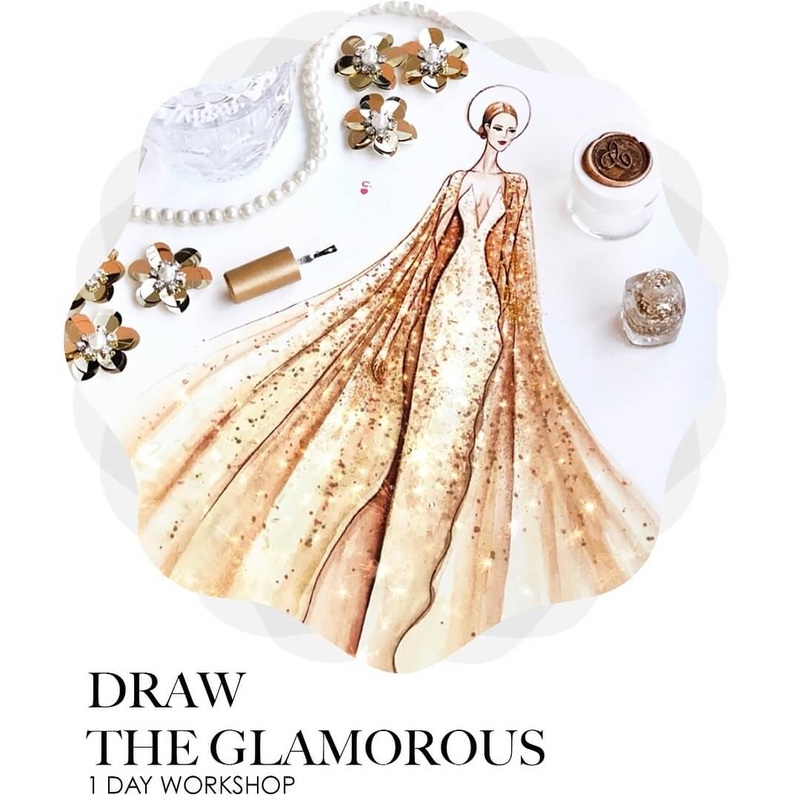 It provides services like: workshops, fashion illustration courses and private events. 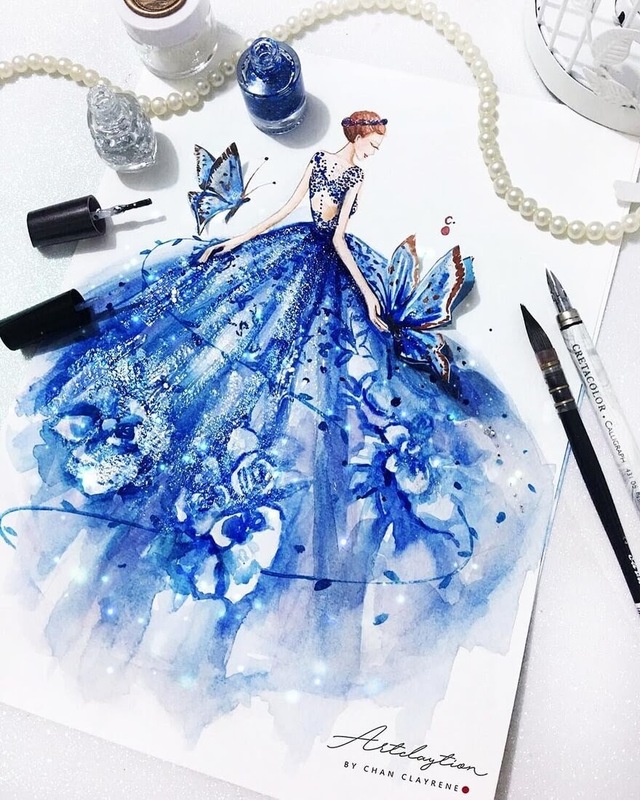 When it comes to drawings, money is not an obstacle, you are just limited by your imagination. 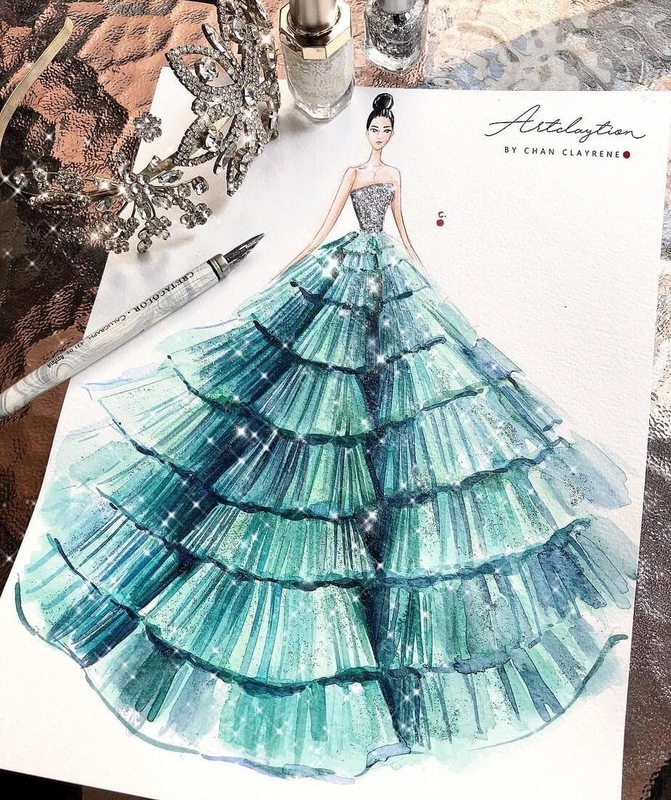 Haute Couture for Metgala 2018. 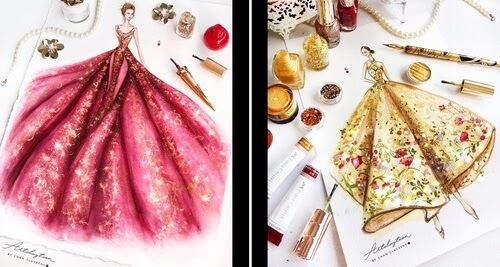 Indian Summer Haute Couture inspired.